Arizona is geographically one of the best matches for residential solar power systems. Blessed with abundant sunshine throughout the year, and flat, open landscapes, Arizona is ideal for generating electricity for solar energy. 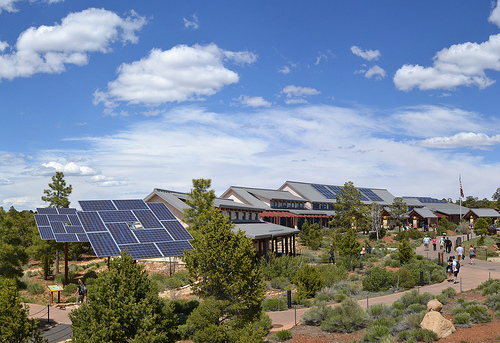 State incentives and energy policies in Arizona are also solar-friendly. Rebates: Arizona offers extremely profitable rebates to its citizens on the purchase of solar power systems. 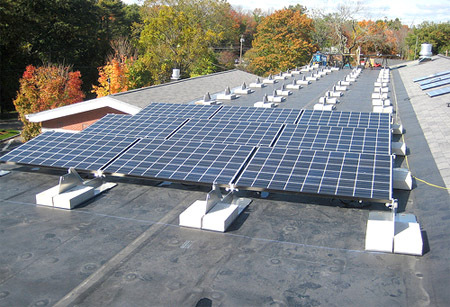 The rebate values vary from $750 per kW to $2000 per kW; the cap limits also varying considerably from program to program. Tax Credits: A tax credit of $1,000 is given to Arizona residents in addition to the 30% federal rebate for buying or installing solar energy systems. The state tax credit also has no cap. Exemption from Tax: Arizona gives a sales tax exemption on the purchase of solar power systems. Apart from the lucrative tax credits and state rebates, Arizona also allows net metering (selling energy back to the grid) with no caps. It allows an individual to sell 125% excess power to the utilities. The typical payback time for a solar power system in Arizona is about 10 years. The general consensus is that if the state rebate was raised the payback time could be lowered considerably. The relatively long payback time is potentially the only drawback for going solar in Arizona. A payback time of around 5 to 7 years is more acceptable to residents. Get a free quote from Arizona solar installers today.